So I’m sure everyone and anyone has been listening to some kind of political campaign, whether or not they wanted to. It’s inevitable right now, with the Democratic National Convention and the Republican National Convention taking place in the most recent weeks. I mean, honestly, if I hear one more person talk about how awesome Bill “Slick Willy” Clinton’s speech was at the DNC… I might go crazy haha. Personally though, I really don’t get into politics too much unless something really important comes into play. Topics that really make me pay attention to anything political are things that could affect two important things in my life… 1. My family and 2. My career. So, I was shocked to read about the dilemma the government is having the Supplemental Nutrition Assistance Program, or SNAP. In order to help pay for a series of high-priority spending bills in 2010, Democrats searched future funding for food stamps, promising to put the money back before any cuts took effect. Now that cuts are around the corner, there isn’t any talk about replacing the funds. The Big Farm bill that passed will reduce the deficit by $23.6 billion. Part of the savings comes from cutting another $4.5 billion from food stamps. 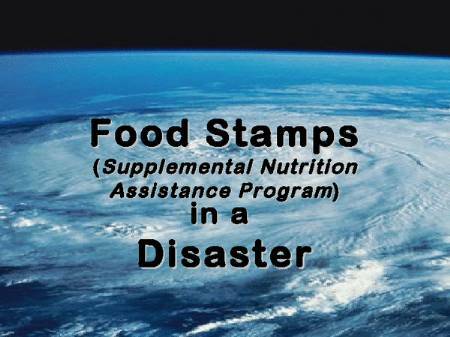 Last year 45million Americans received food stamps each month, costing the government $78 billion. The average household was receiving $287 per month. Participation in SNAP has increased 70% over the past 5 years. But, it’s supposed to level-off in the next 2 years. Even without the cuts in the Farm Bill, SNAP recipients will see less money come in, starting next fall. It is expected that by November 2013, a family of four will receive $16 less a month. In 2010, Democrats roughly took $14 billion worth of funds that had been allocated for future SNAP benefits and used it to pay for a child nutrition bill and a state assistance bill. The SNAP money had originally been put there by the 2009 stimulus bill. Now let’s think of how food stamps have affected us most recently. In the past year, Louisiana tied North Carolina for the biggest increase in food stamp use between May and June. And that was before thousands of Louisiana residents signed up for emergency food stamps in the Disaster Supplemental Nutrition Assistance Program to offset the cost of spoiled food from the power outages and evacuations related to Hurricane Isaac. In Louisiana, 901,586 people received food stamps in June, up 1.3 % from the month before. Everyone knows that this time of year that the gloves are really coming off, so to speak. Democrats versus Republicans and he-said, she-said. But what does this all really mean to OUR community and how does this affect OUR children and families? Everyone is going to have an opinion about something when it comes to political elections. But this specific topic should have every healthcare professional and healthcare student raise an eyebrow or at least have something to say…. What’s yours?